1 Introduction by Elisabeth Roehrlich, University of Vienna and Woodrow Wilson Center, Washington, D.C.
Introduction by Elisabeth Roehrlich, University of Vienna and Woodrow Wilson Center, Washington, D.C. While the Iran negotiations made the IAEA’s name famous, the organization itself remains strikingly absent from public debate. Yet the IAEA has a remarkable, 60 year-long history. Founded in 1957 in an act of unprecedented cooperation between the Cold-War superpowers, the organization survived considerable crises, such as the nuclear accidents in Chernobyl (1986) and Fukushima (2011). The IAEA’s nonproliferation efforts entered a new era when in the early 1990s it became known that three member states had secretly explored the nuclear weapons option. Iraq’s program was disclosed after the first Gulf War (1990-1991). South Africa, in the last days of the apartheid regime, declared that it had built (but eventually destroyed) six nuclear bombs. North Korea was suspected of having cheated on its safeguards agreement. The IAEA had to handle all this on a narrow zero real-growth budget, but was able to adjust to the post-Cold War order. In 2005, it was awarded the Nobel Peace Prize. The IAEA was an American brainchild. United States President Dwight D. Eisenhower proposed the Agency’s creation in his famous “Atoms for Peace” speech to the UN General Assembly on 8 December 1953. The basic rationale seemed simple; the states with advanced nuclear programs would give fissionable material to the new agency. In turn, this agency would then make the material available to its member states for peaceful nuclear activities. The applause in the UN General Assembly hall was thunderous, and even the Soviet delegation joined in. What excited most listeners was the prospect for nuclear energy as a new source of power generation, independent of a country’s natural resources and applicable all over the world. Some called it one of the most impressive speeches held before the United Nations. Others expressed skepticism; after all, the American President had not outlawed the use of nuclear weapons. To this day, historians are divided on whether Atoms for Peace was merely an act of Cold-War propaganda or an honest attempt to reduce the nuclear threat. Eisenhower’s proposal was also controversial for another reason. The Soviets warned their American counterparts that the global distribution of nuclear material, technology, and knowledge would not only promote the civilian applications of the atom, but also foster its military uses. Gerard C. Smith, who was U.S. Secretary of State John F. Dulles’s Special Assistant for Atomic Energy Affairs at the time of the Atoms for Peace speech, paraphrased the Soviet reaction as “asking what in the world Americans thought they were doing proposing to spread weapons-grade nuclear materials around the world.” Sixty years on, the question of whether the IAEA is a facilitator rather than a preventer of nuclear weapons proliferation continues to return in the current political science debate. When the IAEA Statute was negotiated, the nuclear world looked very different from how it appears today. The club of nuclear-weapon states had three members–the United States, the Soviet Union, and the United Kingdom—and the notion of nuclear nonproliferation had not yet entered the policy lexicon. While the negotiators discussed roles for the Agency that it would not or only partially receive (such as being the custodian of nuclear materials), they neglected aspects that are critical today, such as nuclear safety or the threat of nuclear terrorism. Yet, according to former IAEA Director General Mohamed ElBaradei, “the mandate of the IAEA is as expansive or as limited as you want it to be.” He argues that the question of what is part of the Agency’s mandate (and what not) is more political than legal, and that the answer depends mostly on what the Member States want the IAEA to be. What makes the IAEA unique as an international organization is that its job is defined not by a certain activity but by a certain technology. Over the course of the Agency’s 60 year-long history, different aspects of the nuclear revolution have been at the center of public and political attention. The 1950s were shaped by nuclear power optimism and the global interest in the civilian applications of nuclear technology; in the 1960s and 1970s proliferation concerns made the IAEA the key verification institution of the Nuclear Non-Proliferation Treaty (NPT); the anti-nuclear movement that gained momentum in the late 1970s and 1980s facilitated international cooperation in nuclear safety; and after the terrorist attacks of 9/11 the IAEA had to find its role in nuclear security. The IAEA has addressed these new challenges and threats. These adjustments were in agreement with the IAEA Statute, which foresees new roles for the IAEA in the future, argues Joseph F. Pilat. Until today, the IAEA’s two missions of technology diffusion and nonproliferation shape Member States relations, the debate over what is the primary aim of the organization, and whether it is a political or a technical organization, as Malfrid Braut-Hegghammer explains in her essay. This also affects the IAEA’s organizational structure and culture. Trevor Findlay analyses the IAEA’s very specific relationship to the UN system and scrutinizes its self-perception as an independent organization. Laura Rockwood reminds us of how new and far-reaching the IAEA’s nuclear verification system, as envisaged by the Statute, was. In light of the superpower cooperation that shaped the drafting of the IAEA Statute, Matthew Bunn argues that the most important step to strengthen the IAEA would be to rebuild this kind of political cooperation. Elisabeth Roehrlich is Associate Editor at H-Diplo/ISSF. She is the Director of the IAEA History Research Project at the University of Vienna, Austria, where she initiated a video oral history series with leading figures from the IAEA’s history, among them former Director Generals Hans Blix and Mohamed ElBaradei. Dr. Roehrlich is also a Global Fellow at the Woodrow Wilson International Center for Scholars in Washington, D.C. and a partner of the Nuclear Proliferation International History Project (NPIHP). Målfrid Braut-Hegghammer is Associate Professor of Political Science at the University of Oslo. She is the author of Unclear Physics: Why Iraq and Libya Failed to Build Nuclear Weapons (Cornell University Press, 2016). Her work has been published in International Security, The Nonproliferation Review, The Middle East Journal, Huffington Post, International Herald Tribune, and New York Times (online edition). Matthew Bunn is a Professor of Practice at the Harvard Kennedy School, and leader of the Managing the Atom project there. Previously, he served in the White House Office of Science and Technology Policy, as a study director at the U.S. National Academy of Sciences, and as editor of Arms Control Today. He is the author or co-author of over twenty books or book-length technical reports and over 100 articles in publications ranging from Science to The Washington Post. Dr. Trevor Findlay is a Principal Fellow at the School of Social and Political Sciences, University of Melbourne, Australia. His forthcoming work, The IAEA and Safeguards Through a Cultural Lens: Power, Planning and Habit will be published by Harvard University later this year. Joseph F. Pilat is a program manager in the National Security and International Studies Office at Los Alamos National Laboratory and a global fellow at the Woodrow Wilson International Center for Scholars, where he co-directs the non-proliferation forum. He is also a member of the Proliferation Resistance and Physical Protection Working Group of the Generation IV International Forum and of the Steering Committee of the University of California’s Institute on Global Conflict and Cooperation. He served as a special advisor to the U.S. Delegation at the 1995 NPT Review and Extension Conference. He also served as the Representative of the Secretary of Defense to the Fourth NPT Review Conference in 1990. Laura Rockwood was appointed as Executive Director of the VCDNP in 2015. Prior to that appointment, she served as a Senior Research Fellow at Harvard University’s Kennedy School Belfer Center Managing the Atom Project. Ms. Rockwood retired in November 2013 from the International Atomic Energy Agency (IAEA) as the Section Head for Non-Proliferation and Policy Making in the Office of Legal Affairs, where she had served since 1985. Prior to working for the IAEA, she was employed by the U.S. Department of Energy as a trial attorney in radiation injury cases and as counsel in general legal matters. She received a Juris Doctor in 1976 from the University of California’s Hastings College of Law, San Francisco, and a Bachelor of Arts in 1973 from the University of California, Berkeley. She is a member of the State Bar of California and the Washington D.C. Bar Association. The International Atomic Energy Agency (IAEA) Statute identifies two core missions: technology diffusion and non-proliferation. Non-proliferation is the most controversial of the Agency’s activities, while diffusion is the least understood. In principle, both sets of activities are equally important. In practice, member states value them differently. Understanding the changing relationship between these activities is essential for making sense of the IAEA’s role in the nonproliferation regime, today and historically. Yet there is curiously little scholarly interest in these questions. Political scientists studying nuclear technology diffusion have largely ignored the role of the IAEA. To be fair, information is hard to come by. The IAEA archives remain difficult to access. As a result, we know little about the evolving relationship between technology diffusion and non-proliferation at the institutional level and in the field. In the following I outline some preliminary perspectives on the changing role of technology diffusion, specifically the program for technical cooperation/assistance in the IAEA. (The technical assistance program was renamed technical cooperation in the early 1980s, but I will use the term technical assistance in this paper as it deals primarily with the period before this rebranding took place.) These observations draw on research in the IAEA Technical Assistance/Cooperation archives, published IAEA documents, and archival material from member states. I will propose that technical assistance has played an essential role in the changing nuclear social contract inside the IAEA, before and after the 1968 Treaty on the Non-Proliferation of Nuclear Weapons (NPT), and highlight some of the consequences for the politics and work of the Agency. Even before the IAEA Statute was negotiated, non-nuclear weapon states feared that the Agency would create a permanent division between nuclear haves and have-nots, thereby institutionalizing inequality. The distinction between haves and have-nots was not nuclear weapons, at this stage: it was possession of advanced nuclear infrastructure and resources. This arrangement, many states complained, was just another form of colonialism. It was clearly discriminatory, as the IAEA would have two categories of members–haves and have-nots–and the benefits and constraints associated with membership would be unequally distributed among them. For example, only states receiving technical assistance from the IAEA were initially subject to safeguards. This left the nuclear haves free to provide technical assistance, bilaterally or via the IAEA, without the constraints of safeguards. When the IAEA Statute was negotiated in 1956, states were simultaneously negotiating the first social contract between states with advanced nuclear capabilities and everyone else, separating states into two groups (haves and have-nots). Under this initial social contract, there were no legal obstacles preventing non-nuclear weapons states from seeking or acquiring nuclear weapons. Concomitantly, there was no quid-pro-link between receiving technical assistance and abstaining from nuclear weapons (contrary to the conventional wisdom among political scientists). Technical assistance was the glue binding this contract together, as this was intended to reduce the capacity gap between nuclear haves and have-nots. When the IAEA became operational the balance between nonproliferation (in the form of safeguards) and diffusion (technical assistance) was soon contested. Developing states wanted more technical assistance and less safeguards, whereas the most influential member states wanted the opposite. By the second half of the 1960s, a coalition of developing states attempted to draw an explicit link between these two activities, arguing that any increase in spending on safeguards would have to be matched by spending on technical assistance. This particular maneuver failed, but the tactic of linking expenditure on safeguards with funding for technical assistance has been a central feature of IAEA budget negotiations ever since. This has had several important consequences, including extended freezes on budget growth in all areas except technical assistance, which became an institutionalized constraint on increased expenditure on safeguards. The initial nuclear social contract, introduced by the IAEA Statute, was redefined by the NPT, which was opened for signature in 1968. The NPT reframes technical assistance as a reward to states that abstained from acquiring nuclear weapons. This “bargain” defined a select group of states as legitimate nuclear weapons states and created a binding commitment by its non-nuclear weapons state members not to acquire such weapons. While we can question how binding this commitment actually was on the part of nuclear weapons states, it did create a link between non-acquisition of nuclear weapons and access to technology. This link underpins post-NPT arguments about the right of access to nuclear technology by non-nuclear weapons states. States such as Iran have wielded this argument in protest against efforts to deny them access to the nuclear fuel cycle. This argument resonates in many non-nuclear weapons states that see the NPT bargain as discriminatory. Inside the Agency, debates about technical assistance reflect cleavages between nuclear haves and have-nots. They also reveal the tension between the Agency’s self-image as a purely technical organization and the fundamentally political nature of IAEA’s work. Furthermore, technical experts and member state representatives inside the IAEA have had different perspectives on the challenges associated with technical assistance. This has had tangible effects on the assistance provided by the Agency. One example is the kinds of assistance provided by the IAEA to its members. The Agency offers three basic types of technical assistance: a) expert services, b) fellowships and training, and c) technical equipment. While these categories have remained fairly stable, there was a relative increase in the provision of equipment from 1964 onward. This shift was the result of lobbying by nuclear have-nots. This increase was, in many ways, counterproductive. Field reports from IAEA technical experts on missions in states such as Syria and Libya during this period demonstrate that there were significant challenges associated with providing technical assistance in the absence of simultaneous efforts strengthening domestic capacity-building and training. While these reports were more than explicit in describing these challenges, the IAEA did not carry out a review of its technical assistance program until 1983. The findings underlined the importance of carrying out systematic reviews of the technical assistance program and doing more to help states with pre-project planning. The original vision for the IAEA’s efforts to make nuclear technology more available has undergone several revisions over the past six decades, due to changing proliferation concerns and the failure of the anticipated spread of nuclear energy to developing states. Both factors have influenced the purpose and format of the IAEA’s technical assistance. At the policy level, technical assistance has played a crucial, but changing, role. At the institutional level, the IAEA has struggled to improve the effectiveness of its technical assistance program. This was made more difficult by the politicization of the technical assistance program, particularly after the NPT. Whereas this brief essay has surveyed this changing relationship in the early nuclear age, and indicated some examples of how this has affected the Agency and its work, there is much more to learn about the changing role of technical assistance as an institutional lever. As noted, technical assistance has served as an incentive, reward, and negotiating instrument. However, it remains unclear how much was actually achieved by this program, and whether it may have had unintended consequences. Fertile areas for future research include the impact of the technical assistance programs in the field, and how changing understandings of proliferation risks have affected the kind of assistance offered by the Agency. Finding answers to these questions can shed new light on a crucial international organization, and inform a better understanding of the origins and evolution of the global nonproliferation regime. If the International Atomic Energy Agency (IAEA) had not been created sixty years ago, the world would be a poorer and more dangerous place. As suggested by its 2005 Nobel Peace Prize, the IAEA has become an essential pillar of the global nuclear order, strengthening international security, nuclear safety, and international cooperation on the peaceful uses of nuclear technologies. The IAEA can never be the only forum for international action in these areas, but it is a central one. Fashioned sixty years ago, the IAEA Statute, like the U.S. constitution, has proved to be a flexible instrument, providing underlying guidance and direction while allowing for adaptation and interpretation as the needs of the day evolve. Some Statute provisions–such as the idea of the IAEA receiving and managing large stocks of special fissionable material for states to use, or inspectors having anywhere, anytime access–have never been used. But in other areas, the Statute’s broad mandates, such as the authority to “perform any operation or service useful” to research, development, or the practical application of peaceful nuclear technologies; to “establish and administer” a safeguards system covering any “bilateral or multilateral arrangement” that states ask it to verify; and to “establish or adopt… standards of safety,” give the IAEA broad latitude to play a range of critical roles. Consider, for example, the IAEA’s changing or potential roles in nuclear safety and security, in nonproliferation verification, and in disarmament verification. The Statute clearly outlines an important IAEA role in nuclear safety, authorizing it to establish safety standards and to ensure that they are followed in its own operations, in the use of material or facilities it provides or under its “supervision or control,” and in any state or grouping of states that asks the IAEA to play this role. Nevertheless, the IAEA’s safety programs were quite modest until the Chernobyl disaster provided the jolt that kicked the international community into action and led to the creation of much of the international safety regime we know today–the Convention on Nuclear Safety, the IAEA’s safety review services, industry organizations such as the World Association of Nuclear Operators (WANO), and more. The meltdowns at Fukushima Daiichi a quarter century later provoked a variety of steps to strengthen these international programs and institutions, but did not, unfortunately, lead to similar institutional innovation. Proposals for new agreements or to make compliance with IAEA safety standards mandatory for all member states went nowhere, and the IAEA gained no new authorities. Hence, today, despite the Statute language referring to inspectors verifying compliance with the IAEA’s “health and safety” standards, there is no such obligation: the IAEA’s safety role remains voluntary, limited to providing reviews and services when states ask it to do so. In nuclear security, the IAEA’s efforts were strengthened dramatically after the 9/11 attacks in the United States in 2001. Perhaps because those attacks did not target a nuclear facility, and many in the nuclear community downplayed the risks of nuclear terrorism and sabotage, the international nuclear security regime remained far weaker than the nuclear safety regime. Despite encouraging progress from the nuclear security summits initiative of U.S. President Barack Obama, the global nuclear security regime remains a patchwork that is clearly insufficient to the task of ensuring effective and lasting security for all nuclear weapons and nuclear and radioactive materials facilities worldwide–and the path that global nuclear security efforts will take with the end of the summit process remains uncertain. The IAEA’s nuclear security recommendations do not have the same status as its safety standards; the requirements of international conventions and voluntary commitments are weaker; and despite the important creation of the World Institute for Nuclear Security (WINS), there is no industry organization routinely conducting peer reviews of security performance around the world, as WANO does for nuclear safety. In the secrecy-shrouded world of nuclear security, even more than in nuclear safety, states have been reluctant to compromise on any aspect of their sovereign control, despite the overwhelming interest that all states have in making sure other states are protecting nuclear weapons and materials appropriately. The Statute, written at a time when international terrorists did not yet pose a major problem, does not even mention nuclear security, and initially, some states argued that security was outside the IAEA’s mandate. But security is clearly important to the future of the peaceful applications of nuclear energy, and the Statute gives the IAEA a broad mandate to “perform any operation or service useful” in that cause. Today, the IAEA’s nuclear security role is broadly accepted and growing, with both the ministerial statement of the 2013 IAEA nuclear security conference and repeated resolutions of the Board and the General Conference strongly supporting the IAEA’s nuclear security activities. For both safety and security, the Statute leaves a major gap in the IAEA’s work that is not likely to be closed: the IAEA addresses only civilian materials and facilities. States are left to their own devices to ensure the safety and security of the nuclear materials and facilities used for defense purposes–even though some 85 percent, for example, of the world’s separated plutonium and highly enriched uranium (HEU) is in stocks held for defense, rather than civilian, purposes. The IAEA Statute lays out verification as a central role for the agency, authorizing its inspectors to have “access at all times to all places and data and to any person” working with such materials and facilities. For better or for worse, the actual commitments to access embodied in safeguards agreements–even in Additional Protocols–are a good bit more constrained. Since the discovery of Iraq’s extensive secret nuclear weapons program after the 1991 Gulf war, the IAEA has been struggling to meet the challenge of detecting secret, undeclared nuclear activities (or building confidence in their absence). To that end, the IAEA has been looking for information wherever it can get it–from scientific journal articles, commercial satellite imagery, intelligence provided by member states, and other sources–to try to pull together a comprehensive understanding of each state’s nuclear programs, looking for telltale inconsistencies and ambiguities. This has provoked considerable controversy, as some non-nuclear-weapon states–prominently backed by Russia–worry that the approach would be an excuse for political targeting of safeguards on states which were out of favor with the United States and other major powers. Though this dispute has gone to a simmer from a rolling boil, it is clear that the Secretariat will have to continue to demonstrate that its approach is driven by objective considerations. There is still a great deal more to be done to strengthen safeguards–both in inspecting declared sites and keeping an eye open for undeclared ones. As the text of comprehensive safeguards agreements (based on INFCIRC/153) make clear, in non-nuclear-weapon states the IAEA has a right and an obligation to ensure that all civilian nuclear material is under safeguards, whether declared or undeclared; and given the limits of the IAEA’s authorities and capacities, this will remain a challenge. Former IAEA Director General Hans Blix used to say that inspectors could provide confidence in compliance if they were given access to three things—sites, information, and the Security Council. Those three elements–going to see what is happening on the ground, getting as much information as possible to analyze, and having political support from the Security Council—will remain central to the challenges of the future. The heavy reliance on the IAEA to verify the undertakings in the Joint Comprehensive Plan of Action reconfirms the IAEA’s central role even in those nuclear issues in which the world’s powerful states are most involved–and nonproliferation advocates should seek to encourage more states to accept some of the measures included in that accord, such as the commitment not to pursue certain weaponization-related activities, or the agreement to provide information and access on stocks of centrifuge components. For states found to be in noncompliance, in particular, there is much to be said for former IAEA Deputy Director General for Safeguards Pierre Goldschmidt’s proposal for a Security Council resolution automatically giving the IAEA access comparable to that described in the Statute for any state found to be in noncompliance. Beyond instructing the IAEA to do its business in conformity with UN policies “furthering the establishment of safeguarded worldwide disarmament,” the Statute does not explicitly give the IAEA a role in nuclear disarmament. Some complained about former IAEA Director General Mohammed ElBaradei’s strong disarmament advocacy, arguing that this was none of the IAEA’s business. But the Statute clearly envisions that the IAEA can be asked by states to verify “any bilateral or multilateral arrangement” they enter into–presumably including arms reduction agreements. In the 1990s, under the Trilateral Initiative, Russia, the United States, and the IAEA worked together to demonstrate technologies and procedures (and negotiate the relevant legal agreement) to make it possible for the IAEA to monitor material from dismantled nuclear weapons even if it remained for the moment in classified forms to which international inspectors could not be given direct access. It is past time for the United States and Russia to begin placing their vast stocks of plutonium and HEU under IAEA monitoring, confirming that these stocks will never again be returned to nuclear weapons. Of course, both the Statute and the IAEA itself have flaws and limitations. In a world in which states continue to jealously guard their sovereignty–despite the overwhelming international interest in safe, secure, and proliferation-resistant management of nuclear technologies–there is only so much the IAEA can do. Perhaps the most important step that could be taken to ensure a strong future for the IAEA would be to rebuild the political cooperation that characterized the negotiation of the Statute and the IAEA’s early years. Surely the political cooperation once hailed as the “spirit of Vienna” can be more than a pleasant memory. In particular, the United States and Russia worked closely together to establish and strengthen the IAEA: if they can find ways to overcome their disagreements and work together again–along with other member states large and small–the prospects for another successful six decades for the IAEA and its Statute will be strong. One of the key cultural artifacts of the International Atomic Energy Agency (IAEA) is its official self-description as: “An independent, intergovernmental, science and technology-based organization in the United Nations system that serves as the global focal point for nuclear cooperation.” This slogan reflects several espoused values that the Agency holds dear. Probing deeper reveals that these do not completely accord either with the reality of the IAEA’s situation or the underlying assumptions of its organizational culture. The first element of the Agency’s self-description, its declaration of ‘independence,’ does not mean independence from its member states (although this is sometimes hinted at), but from other parts of the wider United Nations system. This dates to negotiations on the IAEA Statute, during which the United States and its allies pressed for the Agency to be master of its own destiny or, more cynically, one controlled by a Western-dominated Board. They clearly wished to avoid the fate of the short-lived UN Atomic Energy Commission, which was established by and beholden to the majority-ruled UN General Assembly. Certainly the Agency has its own independent governance system, comprising its Board of Governors and the General Conference. While it reports annually to the UN General Assembly, that body can only make non-binding recommendations about the Agency’s work. Unlike the specialized agencies―and this is a source of considerable pride―the IAEA does not answer to, nor is it ‘coordinated’ by, the hapless UN Economic and Social Council. A second element of the Agency’s self-description, its scientific and technical orientation, is used to reinforce its claim to independence. It undoubtedly derives from general wonderment at the potential of atomic technology during the 1950s when the Agency was founded; the explicit terms of its statutory mission “to accelerate and enlarge the contribution of atomic energy to peace, health and prosperity throughout the world;” and the preponderance of nuclear scientists, engineers, and heads of national nuclear agencies among its founding fathers. The 20-year tenure of Sigvard Eklund, a distinguished Swedish physicist, as second Director General indelibly solidified the scientific orientation of the Agency. Such an orientation bolstered the Agency’s claim to be impartial and apolitical, especially when judging member states’ compliance with their safeguards agreements. A concomitant expressed value was the much lauded ‘Spirit of Vienna’—the notion that the Board’s governors, some of whom in the early days were nuclear scientists, were united in seeking consensus on what was objectively and apolitically best for the Agency, not what their own governments necessarily desired. This characterization of the Agency became increasingly difficult to maintain as the IAEA necessarily confronted high-profile, controversial non-compliance cases. After U.S. Secretary of State Condoleezza Rice criticized Director General Mohamed ElBaradei’s diplomatic efforts to resolve the Iran issue on the grounds that “The IAEA is not in the business of diplomacy. [It] is a technical agency,” he responded: “I don’t sit here and feel I’m only a technician. I owe it to the international community to give them my advice. They don’t have to take it.” The widely observed ‘politicization’ of the Board of Governors, especially since the Iraq and Iran cases arose, has been a challenge to the self-proclaimed scientific culture of the IAEA, especially since outside observers often make no distinction between the decisions and activities of the Board and those of the Secretariat. As for the Spirit of Vienna, it was always partly a cultural myth. The Board has always been deeply divided over safeguards, the membership of Israel (and for a time of South Africa), and the funding of technical cooperation for developing countries. It is worth recalling that the IAEA occupies a special place amongst organizations in the United Nations family in that part of its work is directly related to peace and security in the world through verification of commitments by States to use nuclear material and installations exclusively for peaceful purposes. It has direct access to the Security Council and it reports directly each year to the General Assembly. Such sentiments have been reinforced over the years by successive Directors General; by outside assessments, notably by UN panels, periodic international disarmament commissions, and U.S. Congressional bodies; and by governments arguing for an exemption for the Agency from UN-wide financial strictures. Yet to the outside observer the IAEA looks like just another UN body. The Agency’s logo is UN blue and duplicates the laurel wreath of the UN’s logo. The Agency is located at the Vienna International Centre along with other UN organizations. Its staff, like all other UN bodies, is multinational and its diplomatic and bureaucratic procedures replicate those of the UN broadly, with all their advantages and disadvantages. There is broad agreement that it is one of the more effective and efficient of the UN organizations, but not spectacularly so. An even deeper underlying, unspoken assumption of the IAEA Secretariat is that the espoused values reflected in its self-description are not just ends in themselves but vital in warding off political ‘interference’ from member states and from other parts of the UN system that at several points in its history have threatened its well-being. As Barnett and Coleman have noted, international organizations’ secretariats seek to “further their mandate as defined by their professional training and expert knowledge, protect their autonomy, and minimize organizational insecurity.” Such claims often turn on “the belief that they are impersonal and neutral, that is, that they are not exercising power but instead are using depoliticized, objective criteria to fashion their policies.” Much of the IAEA’s organizational culture can be seen as just such an attempt to protect its operational autonomy and minimize threats to its well-being and advancement—all in the service of better global nuclear governance of course. The International Atomic Energy Agency (IAEA) was proposed in U.S. president Dwight D. Eisenhower’s Atoms for Peace speech of 8 December 1953. Key objectives envisioned in the speech—the promotion of peaceful uses and safeguards—were embodied in Article II of the Agency’s Statute. These two fundamental missions of the IAEA have remained central for over 60 years, but the Agency’s role and capabilities have evolved. Moreover, the IAEA responded to requests from Member States to assume new roles as the world changed, as allowed by the Statute. The early years of the Agency saw a remarkable growth in the power and non-power applications of nuclear energy, in part because of the promotional role outlined in the Statute. This role has continued over the decades, and continues to evolve to meet Member State’s needs. Before the Fukushima Daiichi nuclear accident, the prospect of global nuclear expansion—in the view of some, a nuclear renaissance–appeared to be defining the future nuclear landscape. While the prospects for a renaissance may have been overstated, virtually all analyses recognized some level of nuclear power growth both within States with existing nuclear power programs and in new States. Moreover, this growth would involve new technologies and fuel cycles. Whatever the long-term impact of Fukushima on global interest in nuclear power, IAEA has been assisting newcomer states to assess their infrastructure, regulatory bodies, and other needs. Its safeguards responsibilities are expected to grow in the next decades, putting increasing strains on the Agency. At the same time when the Agency was pursuing its promotional mission, the emergence of the Agency’s safeguards system began a unique experiment in international security cooperation. Its safeguards pioneered on-site inspections and involved unprecedented, albeit limited, inroads into Member States’ sovereignty. These inspections have evolved over time to meet the challenges posed by new technologies, new international undertakings, and new threats. From the earliest safeguards to the first Gulf War, innovations in procedures and technologies allowed IAEA safeguards to improve capabilities, to meet new challenges and to be utilized in additional areas. In the last two decades, the IAEA has been transforming its safeguards system to address, in part, the limits of its verification mandate, the burden of noncompliance issues, and other challenges to the value and effectiveness of international safeguards. In this context, the IAEA is adopting a fundamentally new approach to implementing safeguards based on the strengthening measures developed in the 1990s and the lessons learned from Iraq, North Korea, Libya, and Iran. An effective, strengthened international safeguards system, with a strong focus on searching for undeclared nuclear materials and activities, is essential to providing confidence that shared nuclear technologies and expertise, as well as nuclear materials themselves, are not being diverted to weapon programs. ‘Completeness’ as well as ‘correctness’ was critical. Central to the transformation is the Additional Protocol (AP), which is an important new tool and needs to be universally accepted as the basis for safeguards and a condition for exports. Although most States with significant nuclear activities have now brought the Additional Protocol into force, there remain a large number of states that have not yet ratified the Additional Protocol. The Agency and Member States are trying to remedy this situation, as well as the problem of the universality of comprehensive safeguards agreements. Implementing the new measures in the Additional Protocol, as well integrating old and new safeguards authorities, remains a work in progress. A state-level concept, which had been criticized by some Member States, has been the latest manifestation. Fundamental to the new approach to IAEA safeguards is information acquisition, evaluation, and analysis along with inspections. The new approach is designed to provide an evaluation of the nuclear program of a state as a whole and not just each of its declared nuclear facilities. The new IAEA system that is emerging is more flexible, and should be better suited than the old to allocating scarce resources where they are needed most in countering proliferation risk. As the Agency moves further towards an information-driven safeguards system, efficiencies will be required and could be realized through greater utilization of information and communication technologies for the collection, analysis, and processing of safeguards-related information, along with greater use of remote monitoring coupled with secure information technologies, etc. However, such efficiencies may not be sufficient. As a consequence, there is a move to shift safeguard resources away from countries with large nuclear power programs such as Japan, Canada, and Germany to States of proliferation concern. Based on the Additional Protocol and other new authorities, the state-level approach would in theory differentiate but not discriminate among States. However, this approach will require balance. If it were to go too far, it will be seen as discriminatory. Moreover, if the resources devoted to large nuclear power programs were cut too deeply, the IAEA might lose its ability to make independent judgments on them. If this were to occur, it could undermine global nonproliferation efforts, especially at a time when the interest in deep cuts and the goal of zero is high. These objectives depend on watertight, not relaxed, nonproliferation efforts. Beyond these formidable challenges of transforming and strengthening safeguards, new and expanding roles for the Agency are increasingly being advocated by the Agency, by Member States, or by both, including safety, security, and arms control and disarmament. The IAEA has had a longstanding role in safety and security, which has been evolving in response to global challenges—the accidents at the Chernobyl reactor and, more recently, Fukushima, and the increasing concerns about radiological and nuclear terrorism following the attacks of September 11, 2001. The Agency’s role in both areas involves inter alia peer reviews, training, and the development of international standards. While these areas remain national responsibilities, the Agency’s role is increasingly seen as an essential player and likely to grow. To the extent that this occurs, there will be opportunities to increasingly integrate safety, security, and safeguards systems from design through life cycle operations. This could increase effectiveness and efficiency. There are resources and other challenges to these growing roles, however, and some institutional risks associated with greater Agency involvement in areas where national responsibilities remain central. The IAEA’s role in verifying past rollback efforts, including South African disarmament and the end of Iraq and Libyan nuclear-weapon programs, has been commendable. If North Korea or any other proliferation States were to disarm, the verification issues could be difficult and complex—far more so than those encountered in Libya or South Africa. If this were the case, what role should Agency safeguards or other verification experience have in future rollback activities? There are clearly issues of both the IAEA’s capability and its mandate on complex rollback operations, despite its positive role and successes in South Africa, Iraq, and Libya. The IAEA probably should play a role in verifying rollback where its capabilities are unique and its contributions can be beneficial. However, there are classification and proliferation issues, especially for a State with weapons and an extensive weapon infrastructure. Many of the issues of institutional capabilities, resources, and attention that are raised by an IAEA role with rollback will appear also if the role of the IAEA in arms control and disarmament efforts grows. Although envisioned in the Atoms for Peace speech that put forward the idea of the Agency, embodied in the IAEA’s Statute, and intermittently pursued in recent decades, this issue has not been at the forefront of thinking about the IAEA’s future. The fissile material cutoff treaty (FMCT) has changed the conversation. Although negotiations of an FMCT are stalemated in the Conference on Disarmament (CD), there is interest in finding ways to begin negotiations, and there is considerable interest in using the IAEA to verify FMCT. At one end of the spectrum, this would bring a small number of production facilities in the P-5 or all of the States with nuclear weapons into IAEA safeguards or other agreed verification measures administered by the Agency. At the other end, the FMCT could bring all facilities in these States under IAEA verification and could overwhelm the Agency. The case for an IAEA role centers on the fact that the IAEA has the human and technical capabilities to be the inspectorate for an FMCT. If the IAEA is not the inspectorate, this could adversely affect the IAEA and its safeguards. Moreover, creating a new inspectorate could be costly and be seen as a duplication of effort. Arguments against an Agency role include the politicization of the Agency (especially the Board) on compliance issues over Iran, which could worsen with responsibilities for FMCT verification. There is also a concern that IAEA inspections of weapon States could unintentionally release weapon design information or other sensitive or classified information. In addition to the FMCT, the Agency’s role in addressing excess defense material will certainly be raised anew. The Trilateral Initiative was an effort in the late 1990s to explore the technical, financial and other modalities of IAEA involvement in inspecting the storage and disposition of US and Russian excess defense material. There has been some discussion of reviving this effort. Moreover, the IAEA has been requested to assist in the independent verification of the U.S.-Russian Plutonium Management and Disposition Agreement (PMDA) and is working on the legal agreement with the parties to allow this to occur. Other possible arms control roles that would utilize the IAEA, its safeguards system and its other verification experience have been put forward as well, including a direct role in verifying the reduction or elimination of warheads. If the IAEA plays an increasing role in arms control and disarmament, the issues of institutional capabilities, resources and attention will be raised. The Agency will have to meet challenges relating to maintaining its credibility and effectiveness during compliance disputes, the possible inadvertent spread of classified or proliferation-sensitive information and other issues. There will be concerns about is ability to obtain the resources and to pursue any new arms control missions without undermining its traditional nonproliferation mission. The IAEA has already been active in the arms control and disarmament arena, including its roles in Iraq, South Africa, Libya and now Iran. The IAEA’s application of safeguards in Nonproliferation Treaty (NPT) and non-NPT nuclear-weapon states (NWSs) under voluntary offer agreements (VOAs), along with the Agency’s role in the U.S.-Russian-IAEA Trilateral Initiative, were also seen as significant in this regard. The objectives and functions of the IAEA Statute have served the Agency well over 60 years, and will likely do so in the future. It is clear that the IAEA will need to evolve in the future as it has evolved over the last five decades. At a time when nuclear activities are increasing throughout the world, IAEA safeguards face new challenges, including the need for capabilities to detect undeclared nuclear facilities and new fuel cycle facilities, the need for improvements in the effectiveness and efficiency of safeguards; and the increasing interest in expanding the promotion of nuclear energy’s peaceful uses and the application of safeguards to new roles in safety, security, rollback, and arms control and disarmament. What then explains the willingness of the negotiators of the Statute, during the height of the Cold War, to agree to international verification at all? It reflected the fear of the threat posed by the spread of nuclear weapons through the misuse of that new technology, and States’ willingness to cede an element of national sovereignty in light of that risk. The significance that States ascribed to that threat is embodied and underscored in their agreement in the Statute to a concept of access “at all times to all places and data and to any person,” access which has, in fact, not found its way into the actual implementation of safeguards. However, it was only in 1963, with the active support of the Soviet Union, that IAEA safeguards achieved their central role in the nuclear world. Fischer speculates that this turn-about may have been attributable to a number of factors, including the U.S.‑Soviet detente following the Cuban missile crisis, a cooling in the Sino-Soviet relationship, and concerns about Germany as a new nuclear power. Separately and collectively, they all point to a determination that effective IAEA safeguards were in the Soviet Union’s national security interest in response to emerging threats. Eisenhower’s original concept of IAEA verification in support of disarmament nevertheless lay dormant until 1996, with the U.S./Russian/IAEA Trilateral Initiative established to study the legal, financial and technical issues associated with IAEA verification of material released from those States’ nuclear weapons programmes. Unfortunately, since the termination of the Trilateral Initiative in 2002, there has not been a significant effort among the IAEA’s Member States to utilize its capabilities in this regard. Over the years, the Statute has served as a living document, permitting the Secretariat to rise to the demands of its Member States as those demands have evolved, with sufficient flexibility to allow it to respond without any substantive modification of the Statute. Indeed, the only amendments to the Statute adopted by the Member States thus far have been related to the expansion of the Board of Governors. The “pattern of parsimony” referred to by McKnight has been challenged in recognition of the transnational implications of successive failures in safety, safeguards and security triggered by the Chernobyl accident, the discovery of Iraq’s clandestine nuclear weapons programme, and 9/11, respectively. These events served as epiphanies – moments when Member States of the IAEA reassessed their individual and collective security needs, and the possible roles of the IAEA in addressing them. In each instance, the IAEA’s legal authority has been re‑evaluated, reinterpreted, and implemented accordingly. The most pressing demand today is in addressing the active threat of non-state actors as they seek to acquire nuclear weapons, nuclear material and other radioactive materials before they achieve the detonation of a nuclear weapon, an improvised nuclear device, a dirty bomb, or a radiological dispersal device. As President Obama pointed out in his Prague speech of 2009, “[t]o protect our people, we must act with a sense of purpose without delay,” we must “secure all vulnerable nuclear material around the world, break up black markets, detect and intercept materials in transit, and use financial tools to disrupt this dangerous trade.” And yet, we still hear reservations expressed about the IAEA’s role in nuclear security, for fear of having to surrender an element of national sovereignty. It is tempting to suggest that it will take another crisis before there will be another paradigm shift in international nuclear governance, a further reassessment of Member States’ national security interests, and the IAEA’s possible contribution to that security. The optimist in me wants to believe that will not be necessary. Sadly, history seems to suggest otherwise. Statute of the International Atomic Energy Agency, Conference on the Statute, Held at Headquarters of the United Nations, 20 September to 26 October 1956, IAEA/CS/13. For the current version of the Statute see the IAEA’s website: https://www.iaea.org/about/statute. The Nobel Peace Prize was awarded jointly to the IAEA and its then Director General Mohamed ElBaradei. John Krige, “Atoms for Peace, Scientific Internationalism, and Scientific Intelligence,” in John Krige and Kai-Henrik Barth, eds., Global Knowledge Power: Science and Technology in International Affairs, Osiris 21:1 (2006): 161-181. Gerard C. Smith, Disarming Diplomat: The Memoirs of Gerard C. Smith, Arms Control Negotiator (Lanham: Madison Books, 1996), 37-38. On the Soviet role in the creation of the IAEA: David Holloway, “The Soviet Union and the creation of the International Atomic Energy Agency,” Cold War History 16:2 (2016): 177-193. DOI: http://dx.doi.org/10.1080/14682745.2015.1124265. Robert L. Brown and Jeffrey M. Kaplow, “Talking Peace, Making Weapons: IAEA Technical Cooperation and Nuclear Proliferation,” Journal of Conflict Resolution 48:3 (2014): 402-428. DOI: https://doi.org/10.1177/0022002713509052. Elisabeth Roehrlich, “The Cold War, the developing world, and the creation of the International Atomic Energy Agency (IAEA),” Cold War History 16:2 (2016): 195-212. DOI: http://dx.doi.org/10.1080/14682745.2015.1129607. The Austrian Science Fund (FWF) supports a multi-year research project on the creation of the IAEA at the University of Vienna (project number V-407). For a recent exception, see Robert L. Brown and Jeffrey M. Kaplow, “Talking peace, Making Weapons: IAEA Technical Cooperation and Nuclear Proliferation,” Journal of Conflict Resolution (April 2014): 402-428. DOI: https://doi.org/10.1177/0022002713509052. David Fischer, History of the International Atomic Energy Agency: The First Forty Years (Vienna: The Agency, 1997), 118. http://www-pub.iaea.org/mtcd/publications/pdf/pub1032_web.pdf. See Dane Swango, “The United States and the Role of Nuclear Co-operation and Assistance in the Design of the Non-Proliferation Treaty,” The International History Review 36.2 (2014): 210-229. DOI: http://dx.doi.org/10.1080/07075332.2013.866152. Lawrence Scheinman, The international atomic energy agency and world nuclear order, (Johns Hopkins Press, Baltimore: 1987), 248-249. See also The Annual Report of the Board of Governors to the General Conference, 1 July 1963-30 June 1964 [GC(VIII)/270]. See Målfrid Braut-Hegghammer, Unclear Physics: Why Iraq and Libya Failed to Build Nuclear Weapons, Cornell University Press (2016). Co-operation activities in 1984: Report by the Director General, GC(XXIX)/INF/226, International Atomic Energy Agency, Vienna, Austria (August 1985), 11. For a useful overview of potential steps to strengthen the IAEA, see Trevor Findlay, Unleashing the Nuclear Watchdog: Strengthening and Reform of the IAEA (Waterloo: Center for International Governance Innovation, 2012), https://issuu.com/cigi/docs/iaea_final/1?e=4209517/1528649. For a somewhat dated vision, see Report of the Commission of Eminent Persons on the Future of the Agency, GOV/2008/22-GC(52)/INF/4 (Vienna: IAEA, 23 May 2008), https://www.iaea.org/About/Policy/GC/GC52/GC52InfDocuments/English/gc52inf-4_en.pdf. 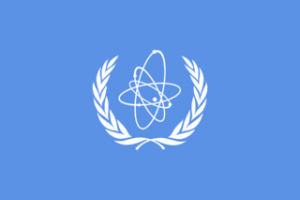 The Statute of the International Atomic Energy Agency, as Amended up to 28 December 1989 (Vienna: IAEA, 1990), https://www.iaea.org/sites/default/files/statute.pdf. See Matthew Bunn, Martin Malin, Nicholas Roth, and William Tobey, Preventing Nuclear Terrorism: Continuous Improvement or Dangerous Decline? (Cambridge: Project on Managing the Atom, Harvard Kennedy School, March 2016), http://belfercenter.ksg.harvard.edu/files/PreventingNuclearTerrorism-Web.pdf. For a summary of the IAEA’s legal rights and obligations, see Laura Rockwood, “The State-Level Concept and the Law of Unintended Consequences,” Arms Control TODAY 44 (September 2014), https://www.armscontrol.org/aca/182. See Thomas E. Shea and Laura Rockwood, IAEA Verification of Fissile Material in Support of Nuclear Disarmament (Cambridge: Project on Managing the Atom, Belfer Center for Science and International Affairs, Harvard Kennedy School, May 2015), http://belfercenter.ksg.harvard.edu/files/iaeaverification.pdf. Edgar H. Schein, Organizational Culture and Leadership, 3rd ed., (San Francisco: Jossey-Bass, 2004), 25. Margaret P. Karns and Karen A. Mingst. International Organizations: the Politics and Processes of Global Governance. 2nd ed. (Boulder: Lynne Rienner, 2010), 116. Article II, IAEA Statute, 1957. Quoted in Roula Khalaf and James Blitz, “IAEA chief embraces the eye of the storm,” Financial Times, 2 October 2007, https://www.ft.com/content/82e44078-711d-11dc-98fc-0000779fd2ac, accessed 15 November 2016. IAEA, Department of Safeguards, Safeguards Strategic Plan Summary, https://www.iaea.org/safeguards/symposium/2014/images/pdfs/LongTerm_Strategic_Plan_(20122023)-Summary.pdf, 2. “Preface by the Director General,” International Atomic Energy Agency: Personal Reflections. Vienna, IAEA, 1997. Michael Barnett and Liv Coleman, “Designing Police: Interpol and the Study ofChange in International Organizations,” International Studies Quarterly 49:4 (December 2005): 595. DOI: https://doi.org/10.1111/j.1468-2478.2005.00380.x. The views here are the author’s own and not those of the Los Alamos National Laboratory, the National Nuclear Security Administration, the Department of Energy or any other U.S. government agency. For the full text of the Agency’s Statute see the IAEA’s website: https://www.iaea.org/about/statute. David Fischer, History of the International Atomic Energy Agency: The First Forty Years (Vienna: The Agency, 1997), 9‑10. Alan D. McKnight, Atomic Safeguards: A Study in International Verification (UNITAR, Geneva, 1971): 37. “Remarks By President Barack Obama In Prague As Delivered,” 5 April 2009, https://www.whitehouse.gov/the-press-office/remarks-president-barack-obama-prague-delivered.